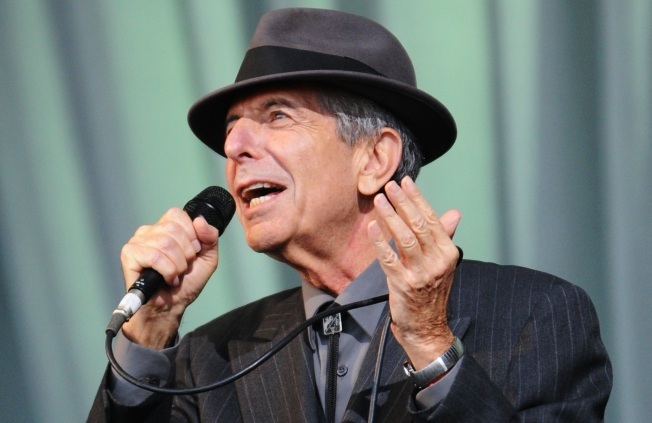 Leonard Cohen plays the Beacon this February, after a 15 year hiatus. After a 15 year absence from American stages, Leonard Cohen will be playing the Beacon Theater on Feb 19. Sure Cohen is Montreal's own, but New York has always had a special thing for him. The guy did write "Chelsea Hotel No. 2." And that voice? It sounds like coffee and cigarettes around 2 a.m. on Bowery and Houston, not Quebecois. According to Reuters and the Observer, the return is not exactly a happy one, but hey, it fits the sad troubadour like a ratty fedora. The tale of woe goes like this: The barroom bard was forced back out on the road after his former manager and lover basically bilked him out of his life's savings. Everybody knows the dice are loaded, indeed. But his loss is your gain. Tickets to the Beacon show reportedly go on sale Friday, but no news is up on the Beacon site as of yet. Maybe that can tide over fans who were just champing at the bit for that Scarlett Johansson Cohen covers record.